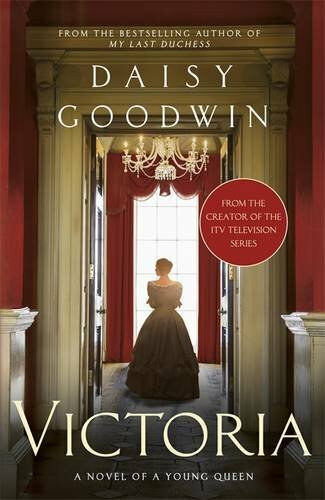 Drawing on Queen Victoria’s diaries, Daisy Goodwin--creator and writer of the PBS/Masterpiece drama Victoria--brings the young nineteenth-century monarch, who would go on to reign for 63 years, to life in this novel. ...because this novel has its roots in Victoria’s diaries — and because Goodwin is a Harkness scholar with a history degree from Cambridge — there is accuracy behind the airy prose ... Goodwin succeeds here. This is a deep exploration of a well-known character who hasn’t quite become who she’s going to be. Knowing about the television show, I found it difficult to read this novel without searching Google for the actors who play each vividly rendered character, but that’s not a bad thing at all ... Good historical fiction always relies on an alchemical blend of research and imagination; making the words flow in an easy manner is an admirable feat an author like Goodwin can make look much easier than it is. In Victoria, Daisy Goodwin’s lively and effervescent novel, the range of her storytelling is rich but brief ... Goodwin uses her well-judged departures from the strict historical chronology to arrive at an emotional core...Goodwin’s queen has all the makings of a captivating human paradox. Although the novel ends before her marriage, Goodwin cleverly lays the groundwork for Victoria’s future. Her repaired relationship with her mother and the dynamics of power within her marriage are all seeded here. Goodwin’s novel feels pale ... Victoria is pleasant enough but a bit plodding; the dialogue often stilted; the central character sweet but unformed ... Reading it, you sense that this might work better on television, with lavish costumes and sets filling out the blandness of the language. What did you think of Victoria?